I had a wonderful visit with my friend and artist Cindy Briggs in Seattle. 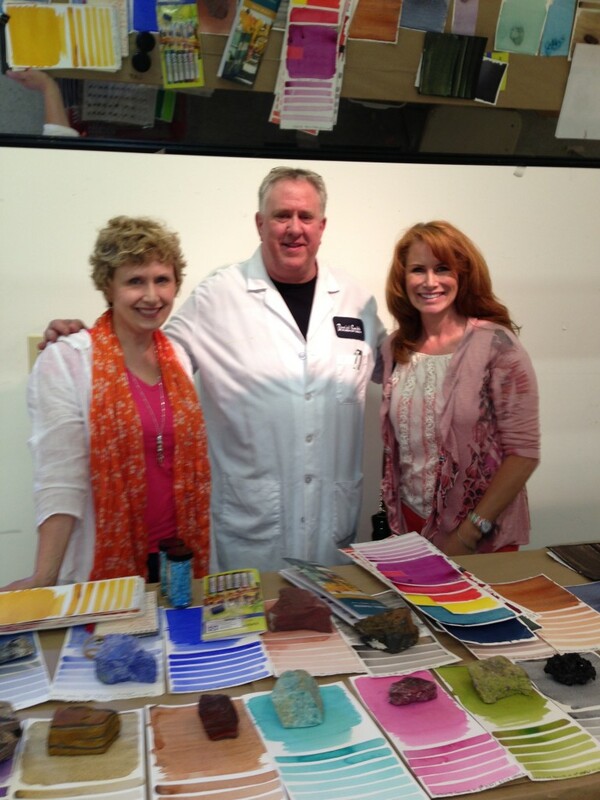 We demonstrated and taught at Daniel Smith Artist Material Stores in Seattle and Bellevue. Our focus was on watercolor journals. We had a lovely group of artists in our class. They painted 5 paintings in one day. AMAZING! Thank you for joining us. We used beautiful New England photos that we mostly took on our artist cruise last spring from Quebec City to Boston. 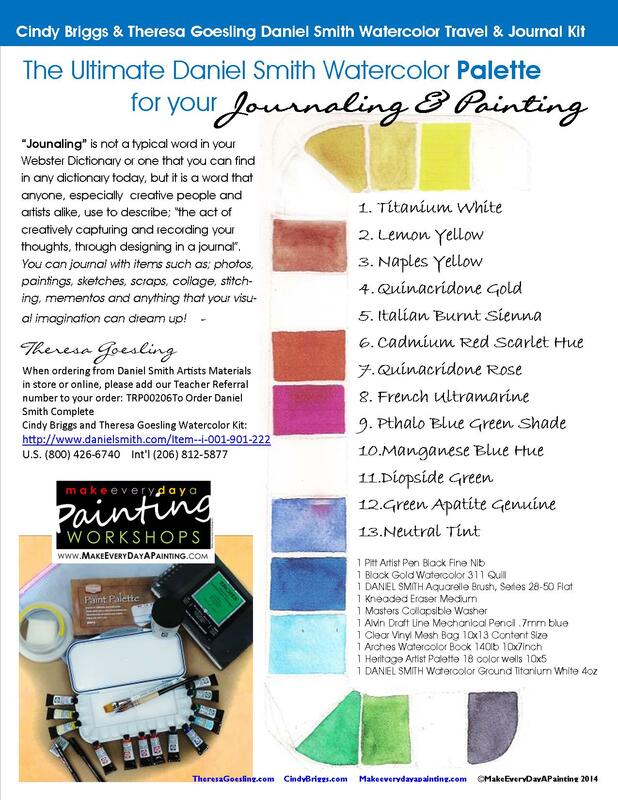 Now we are introducing the wonderful – Cindy Briggs & Theresa Goesling Daniel Smith Watercolor Travel & Journal Kit –http://www.danielsmith.com/Item–i-001-901-222. See the photo below for more information. One funny discovery was about the word “Journaling”, what do you think? “Journaling” is not a typical word in your Webster Dictionary or one that you can find in any dictionary today, but it is a word that anyone, especially creative people and artists alike, use to describe; “the act of creatively capturing and recording your thoughts, through designing in a journal”. Workshop, Art Show and Demonstrations this Week. 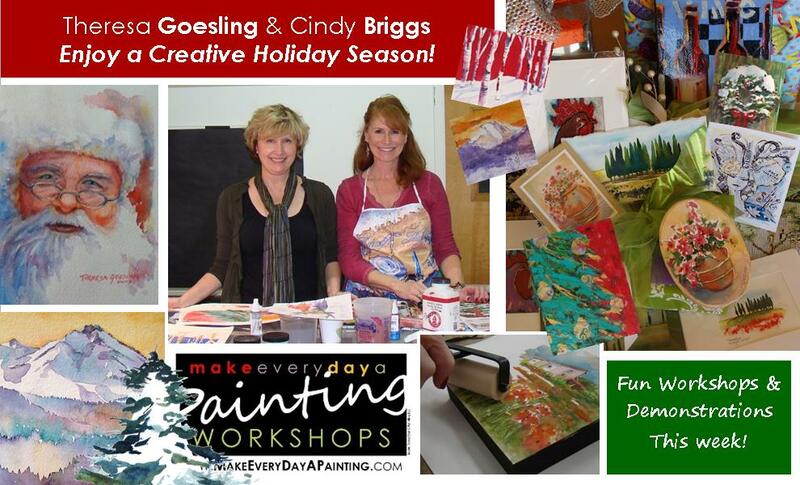 Join us Thursday, December 4 at Goesling Gallery for a Winter Watercolor Workshop – Watercolor and Collage included. 10:00 to 3:30. Call 425-802-3487 to sign up. Art Show at Goesling Gallery, Thursday, December 4 from 5:30 to 7:30. This summer we attended a lecture and tour at the Daniel Smith Factory where we discovered the wonders of Daniel Smith colors. It was amazing to see where the colors started, and how they were developed. All very top secret recipes we were able to see behind the scenes the process of creating the colors that we use in our palettes and more! What impressed us most was how permanent the colors are compared to other brands, the intensive testing that goes into each color mix, and the variety of colors Daniel Smith continues to create. We are so pleased to have been involved in the development of our own color “Neutral Tint” which can be mixed with all of Daniel Smith colors to darken or neutralize the color – doubling the effectiveness of your palette. Thanks to John and Ron at Daniel Smith for the behind the scenes tour! We hope you’ll join us at our upcoming Daniel Smith Events. Click Here for more information!